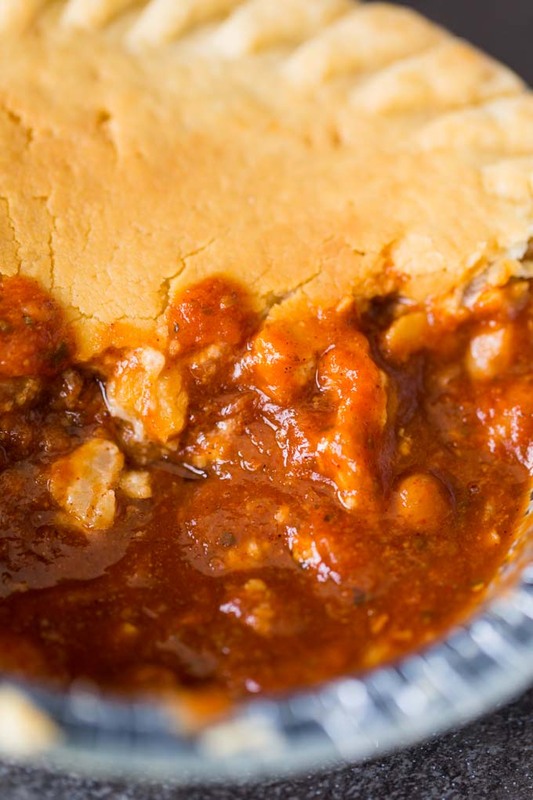 Want to know how to bake Marie Callender’s pot pies? Here are the complete cooking instructions for baking them in the oven, including photos and video! I’ve heard that winter is coming. You wouldn’t know it around here, because the temperature is currently hovering around 90 F. That’s the double-edged sword of living in Florida. You trade off clearly delineated seasons for a few really nice months of weather between November and March. However, my long experience in the Sunshine State tells me that right around Halloween, we’ll experience a welcome cool down. 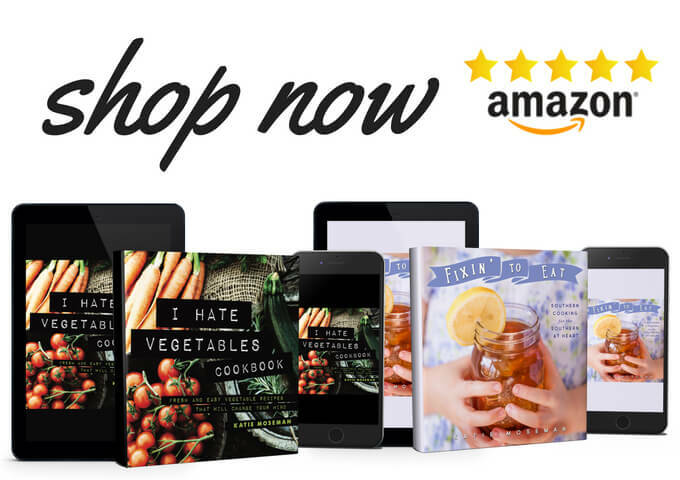 So it’s time to stock up on warming comfort food that’s ready in a pinch. I love to cook, that’s for sure. But fall and winter can get quite busy. There’s all the holidays, plus helping the kids with their school projects, plus getting my own work done. 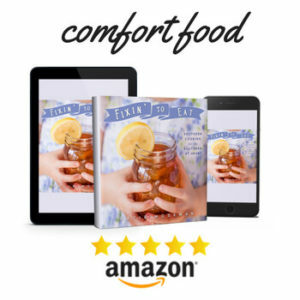 It’s a relief to be able to rely on something with homemade taste that you would make for yourself if you had the time. 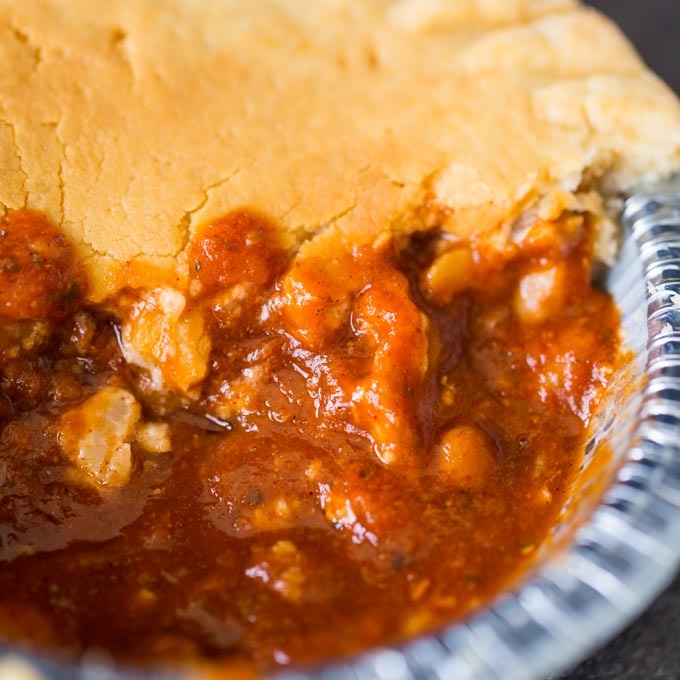 Marie Callender’s Chili Pot Pies fit the bill because they’re made with wholesome ingredients and are convenient to prepare whenever you need a quick and tasty meal. 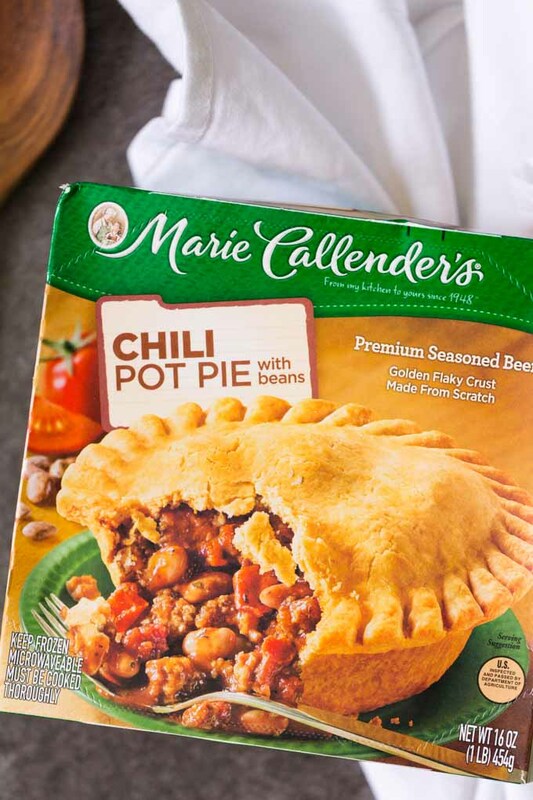 If you stock up on Marie Callender’s Pot Pies at Walmart, you save time and money, because they’re a great price and you can earn $0.50 with purchase of 2 of either Marie Callender’s Pot Pies or Banquet Pot Pies 16 oz. or smaller with this Ibotta offer. I like to bake mine in the oven to take full advantage of that golden, flaky crust. 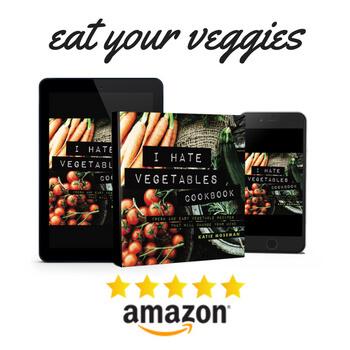 Here’s how to do it! 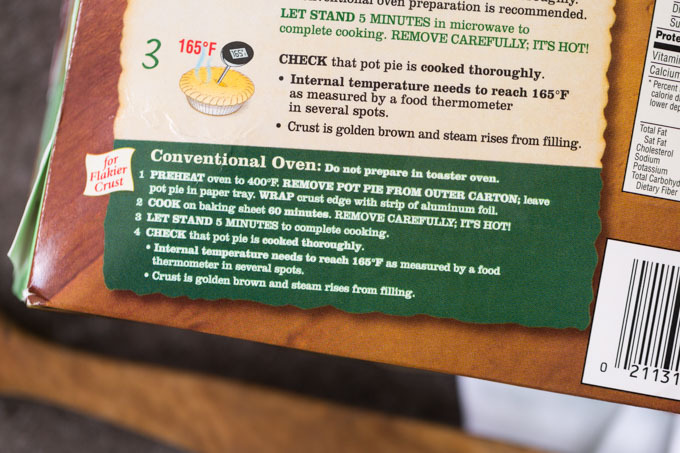 Preheat the oven to 400 F. Remove pot pie from outer carton; leave pot pie in paper tray. 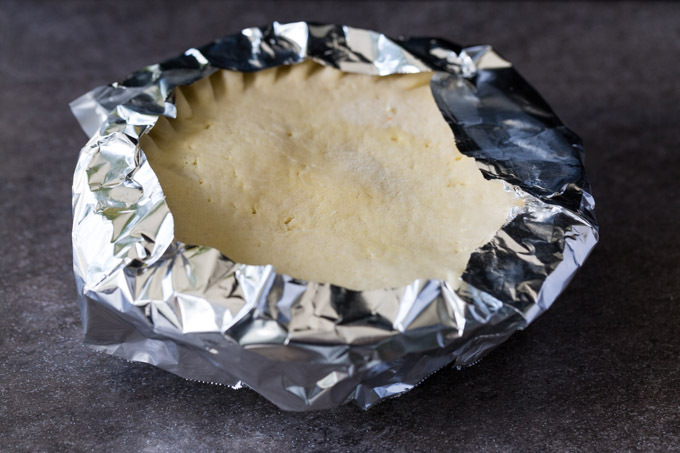 Wrap crust edge with a strip of aluminum foil. Cook on baking sheet 60 minutes. Remove carefully; it’s hot! Let stand 5 minutes to complete cooking. Check that pot pie is cooked thoroughly. Internal temperature needs to reach 165 F as measured by a food thermometer in several spots. The crust will be golden brown, and steam will rise from the filling. Enjoy! 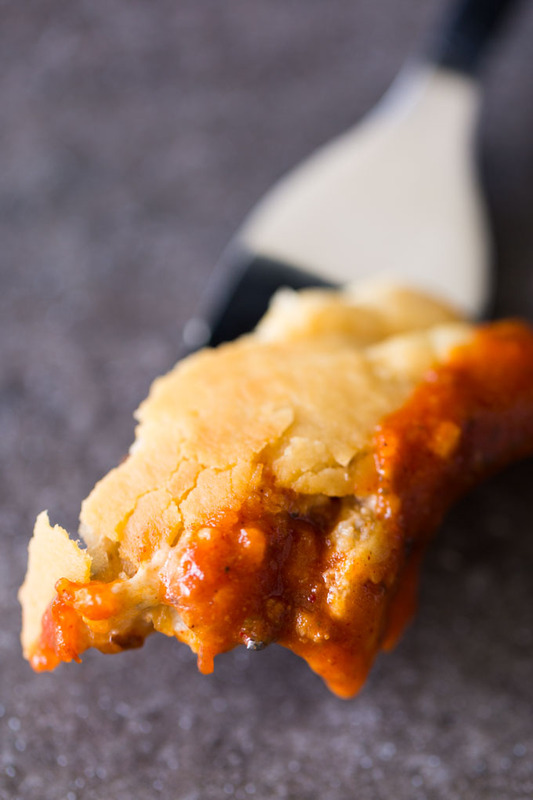 Keep Marie Callender’s Chili Pot Pies on hand. 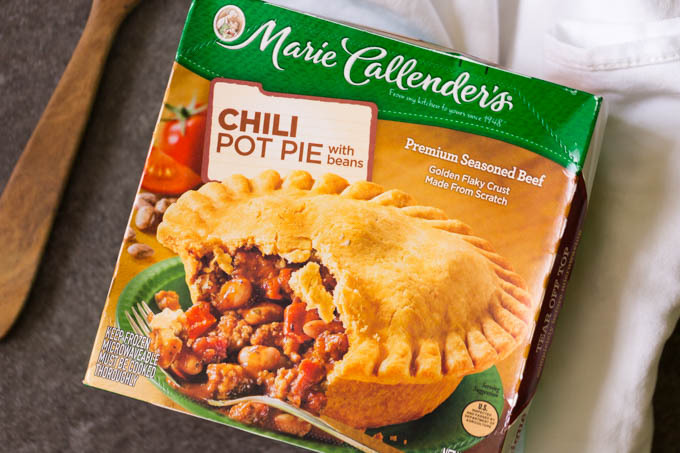 Earn $0.50 with purchase of 2 of either Marie Callender’s Pot Pies or Banquet Pot Pies 16 oz. or smaller with this Ibotta offer. Why do you wrap the edges in foil? The edges cook more quickly than the interior. 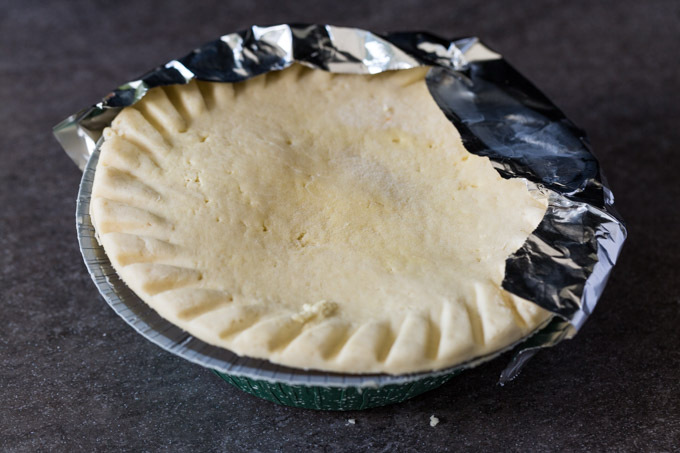 By covering the edges with foil, you prevent them from browning too much while the rest of the pot pie cooks. We cannot get the middle of the pie well baked. What can we do to get the center cooed? 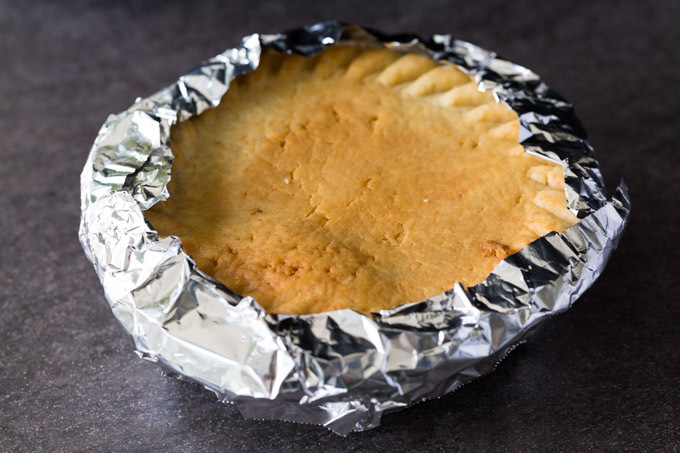 If you have the edges well-covered with foil, you should be able to continue baking for a few more minutes until the center is fully cooked.